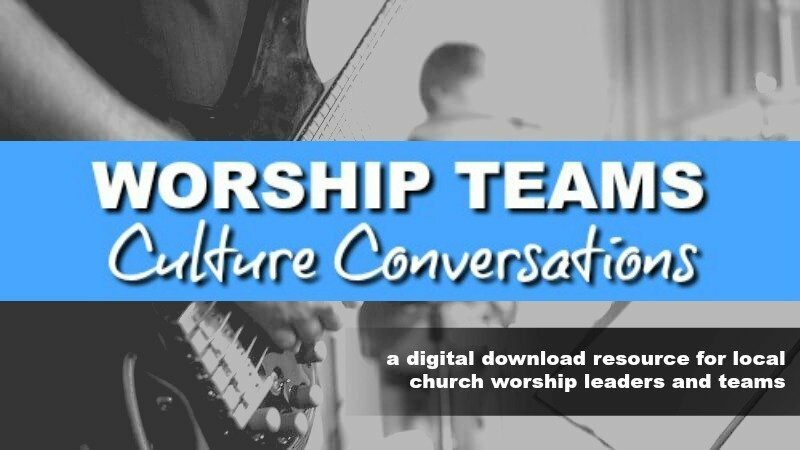 Worship Leaders are tasked with raising up worshippers and worship leaders. This includes specific moments and events where worship leaders can grow. Even more important, it must be a part of the nature and culture of the worship ministry to pave the way for the next generation of leaders. 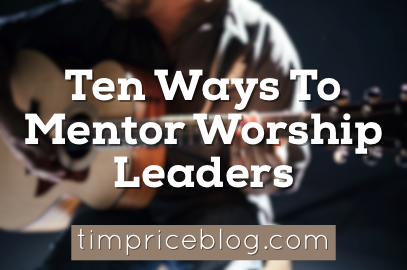 Knowing why you need to raise up worship leaders is a big part of the motivator. So what is the reason to raise people up? Because you won’t be there forever. You’re an interim worship leader. Every ministry role is interim when you really think about it. There were people who served before you and others who will follow. One of the best gifts to leave for the church is people who have learned and are able to do it. Mentoring is about proclaiming God’s name, not ours. It’s about helping grow the church through the gifts God gives people. It’s about building up the gifts of others. And it’s about being intentional. Create openings to lead a song or service. 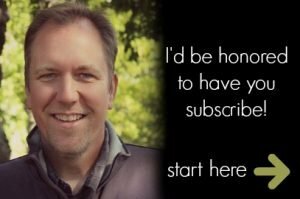 Is there someone in your ministry who needs a chance to serve? Create a space for them to dive in. Let them lead a song or a service. Not too long ago, our kids band led worship on Sunday morning, and we invited one of the eighth graders to open the service, welcome the congregation and invite people to stand. She did a great job and jumped in singing as the group led the music. Plan ahead a bit, ask someone to lead a paticular song. Send them a link in advance and get the ball rolling. Another way this can work is when you’re in a pinch. I remember a Sunday when I had woke up with no voice. The keyboard player that morning sang the songs – for the first time in that capacity. Create opportunities for growth in spirit and skill. You can mentor people by inviting them to attend a conference or seminar. You can help them grow in skill by offering a training course, subscribing to a video course, or another training avenue. 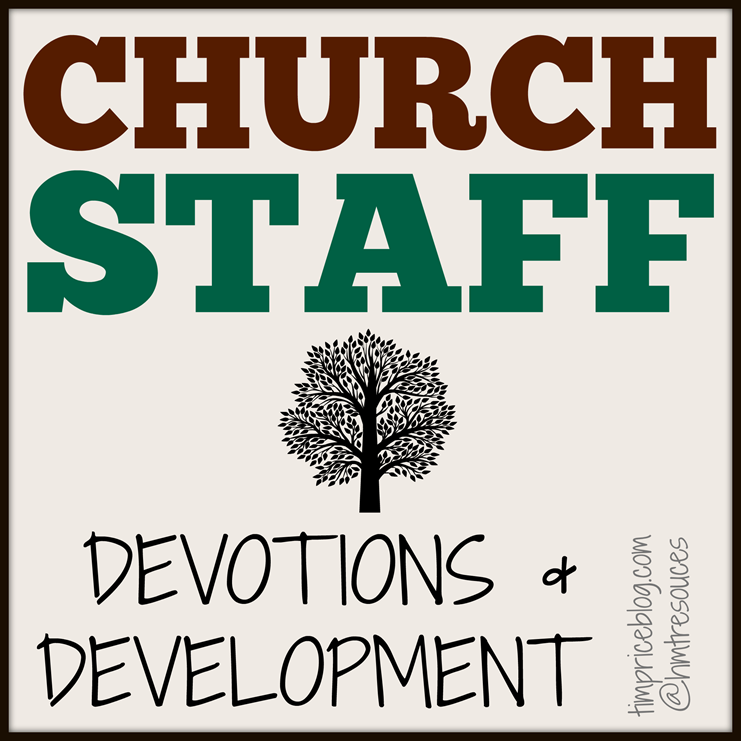 You can also help them grow spiritually as you focus on some time to have devotions with the group, prayer times, and other spiritual disciplines. Mentors are cheerleaders. Encourage your people and celebrate even the smallest milestones. Encouragement can come in the form of group announcements, individual thank you notes, social media posts/tags, or small thank you gifts/parties. As you increase a mentorship with someone, there may come a time when you have to bring up something that’s not easy. When these times come, tackle it quickly. Pray about how to respond, then jump on it. I’ve learned that if something seems funky, it’s time to jump in and see what’s up. Don’t let things linger. Mentoring your leaders requires some standards. In addition to setting expectations, leaders should also be confident in their people to rise up. High standards plus assurance is a great formula for helping people grow and move forward effectively. Set some specific mentoring times. Just like exercise, reading or anything else, if you don’t schedule it, it won’t happen. Though mentoring is ongoing, there should be some specific times when you meet with a leader in your ministry. When are those times for you? It could be a breakfast meeting, it could be a standing weekly meeting with a specific leader for a season. It could be a quarterly group meeting. It could be away from your church with a worship leader from another church. Some equipping requires setting people free to make try it out. Do you have another campus or worship event that one of your team members could go lead? Do you have a friend who needs a fill in worship leader in their church for a week? 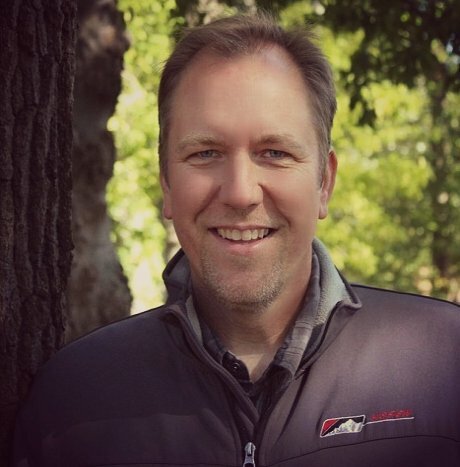 Is there a role in your student ministry where a worship leader is needed? 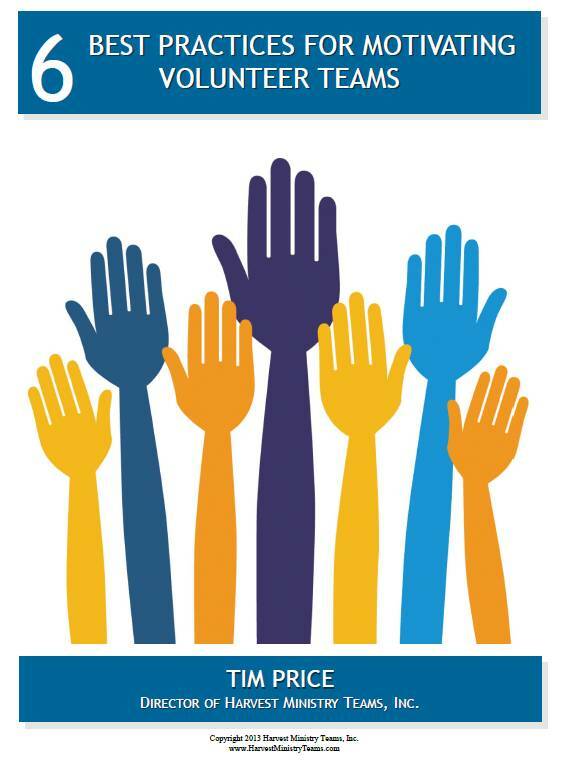 Find opportunities to send off members of your team to experience leadership in other places. 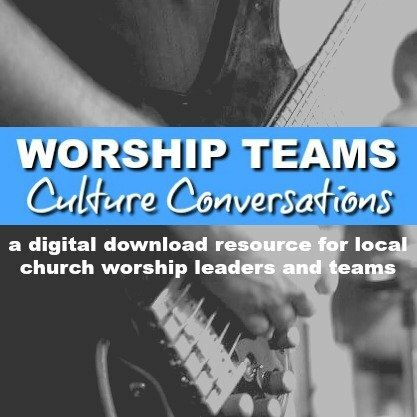 Encourage your team (and support them with tools) to be the worship leaders for mission trips, small groups, or other ministry settings. The opportunities to help kids connect in worship ministry are endless and varied. Depending on your church size and style, there may be opportunities for students to lead every week. Often, smaller churches help raise up incredible leaders because they have to count on teens just for things to happen in their worship services. The larger a church gets, this becomes more difficult to balance. For a while in our church, we gave free guitar lessons every Wednesday night. Lots of kids learned instruments there. Currently, we have a high school band that leads for the student ministry worship service. We also have a junior high band that leads here and there each semester. At times, we will pull in a student to serve with the adult band just for the experience. Mentoring worship leaders isn’t easy and it may cost the church financially. Taking people to conferences, taking someone out to lunch, buying the needed equipment and providing the tools and resources should be expected. Churches also have a great opportunity to help young adults serve in the church while providing a stipend for their ministry. Be ready to have a vision of raising up worship leaders no matter what it may cost. Plan ahead to work it into the budget. When leaders fast and pray for their ministry, things happen. Seek God about who you might begin to mentor. Pray and ask God how you may need to challenge a current team member to step up. Invest some time fasting and praying for your ministry to grow in effectiveness as you lead the church. 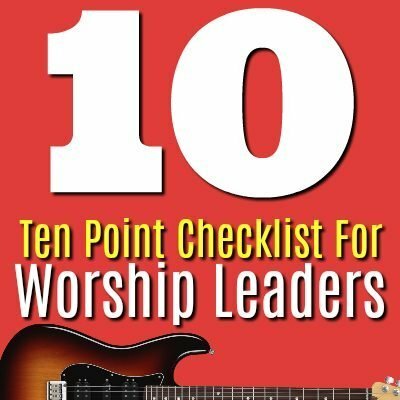 We’d love to email you a link to the Ten Point Check List For Worship Leaders. It’s free!